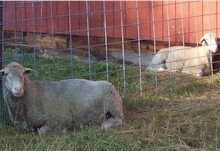 Our flock of registered Polypay sheep are used in an accelerated lambing program. We get three lamb crops from each ewe every 24 months. 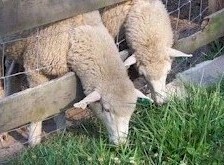 Our ewes are very prolific, great mothers, and have gentle dispositions. Our ewe and ram lambs are sold as replacement breeding stock. We have fantastic genetics and consistently produce quality animals. 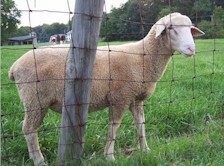 Every animal in the Polypay flock is registered with NSIP (National Sheep Improvement Program). Twice a year EPD's are recorded for each animal. These EPD's can be viewed at your request. 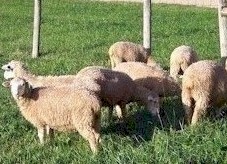 All of our ewes are fed a combination of grass and grain. 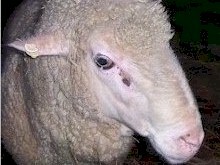 We produce high-quality meat and wool fleeces. 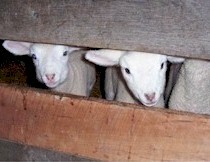 We sheer our sheep in the spring and have fleeces available on a first-come, first-serve basis. 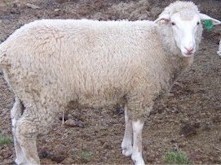 The Polypay breed was developed by scientists at the U.S. Sheep Experimentation Station in Dubois, Idaho by mixing different breeds (Finnsheep, Rambouillet, Targhee, and Dorset) to develop an all around "best breed." Hence the name, Poly (multiple) Pay (paying out more money). 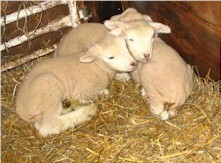 This breed is extremely prolific and works well in accelerated lambing situations.